Fanny Lykmann rock’n out a few of our brass rings mid storm. She’s such a minxy little home girl! Not sure where she is in this little outfit post shoot, but I love the huge bridge surrounded by storm clouds in the distance…Lov’n how she’s split the stack ring over a few fingers. 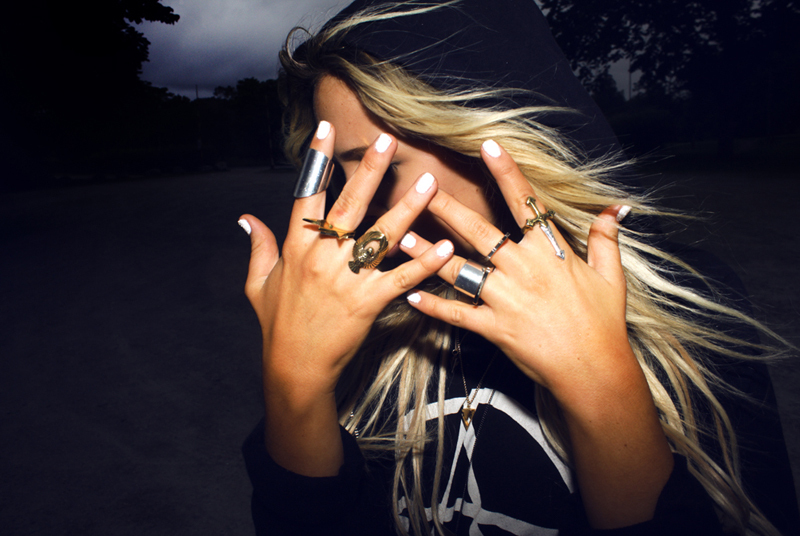 Shop our Rings HERE. Those pictures are so cool, Gorgeous. i want all these rings!! 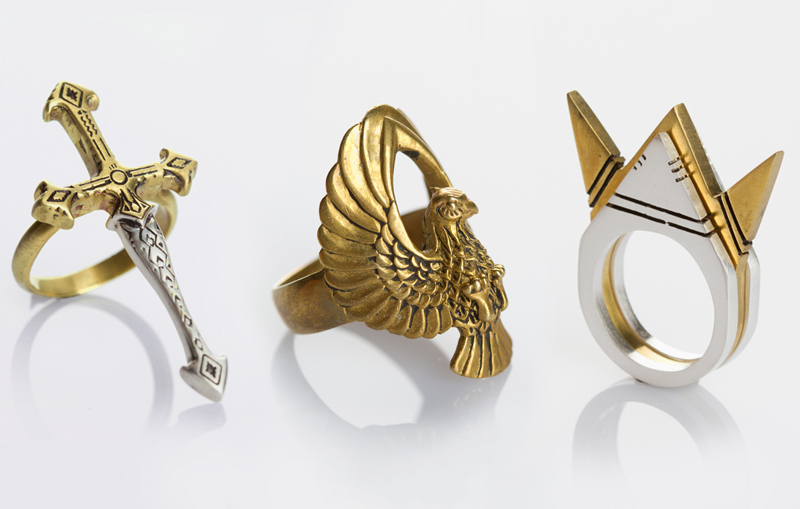 amazing pictures, these rings are fab! WOW !! Collection of brass RINGS ring in my mind… Thanks for sharing.